The firm´s human capital is a process referring to the sum total of individual and collective learning through training programs, experience and experimentation, among others. In-business ongoing training is one of the most important strategies for human capital development and it is crucial to sustain and improve workers' knowledge and skills. Many businesses use continuous learning strategy, encouraging employees to learn new skills continually to be innovative and to try new processes and work in order to achieve a competitive advantage and superior business results. 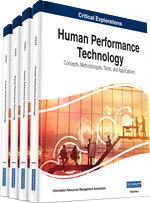 This paper uses the Resource Based View and Capacities (RBV) approach to construct a hypothetical relationships model between Human Capital construct and business results. The test of the model is applied on transversal data. A sample of 266 business of Spanish sector service has been selected. A Structural Equation Model (SEM) is used to estimate the relationship between training, represented by two latent dimension, Human and Social Capital and economic business results. The coefficients estimated have shown the efficient of some training aspects explaining the variation in business results. Business today are facing a changing scenario caused by the acceleration and increasing complexity of a series of interconnected phenomena such as technological progress, globalization and market internationalization and also by more recent ones, the global financial crisis, the scope of the international markets extending to include “emerging” countries, which entails a great adaptation challenge, and coping with global competition, as well as the need for adequate resources and ever more diversified capabilities. In view of these circumstances, the survival of firms, let alone their success, largely depends on their capacity to adapt and develop sustainable competitive advantages. Therefore, the current response to this challenge is to develop competitive advantages based on quality, flexibility and differentiation. To this aim, companies need a highly qualified and skilled workforce. Today, in-company ongoing training is one of the most important strategies for human capital development and it is crucial to sustain and improve workers’ knowledge and skills. Furthermore, it is seen as one of the most viable actions companies can carry out in order to have properly trained employees. From this perspective, a skilled workforce, an increasing business need, derives from this combined effect. One of the alternatives available to businesses when it comes to training and re-training workers is to carry out and boost in-company staff training and re-training. Ongoing training allows for the capacity-building and human development of companies’ staff so that they can reach their objectives, which turns training into a strategic tool. Ongoing training is a fundamental aspect in the development of human resources for companies to such an extent that in the context of a changing and competitive environment it becomes a factor of excellence and a key to success. In the last years the human element has grown in importance because knowledge has become a critical ingredient to gain a competitive advantage, particularly in the new economy landscape (Day, 1994). Thus, the Human Capital and the knowledge provided through in-company ongoing training are intangible resources, which together with finance capital; make up the wealth of a business. Therefore, staff training and qualification is one of the most valued resources for companies in the framework of the Resource Based View (RBV) and the Intellectual Capital Theory. The accumulation of knowledge through learning constitutes a driving force in development and growth of firms, because acquisition of knowledge enhances the firms’ ability to sustain a competitive position vis-à-vis its competitors (Prahadal at al., 1994; Collis and Montgomery, 1995).